We look forward to welcoming almost 90 new students entering the CFA program for the 2015-2016 school year at the New Student Orientation. The general session begins in the auditorium at 7 pm followed by breakout session in each curriculum area. Look Who’s in LA on the Set of American Idol! 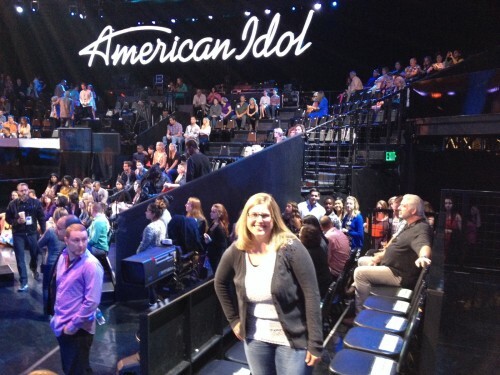 CFA Director Dr. Stephanie Poxon gets ready to cheer on Rayvon Owen to the top 3 on American Idol!